Today best known for their role in defending Ethiopia from Italian invasion 1935-41, chewa warriors protected Ethiopia for centuries. Yet, depicted by some 19th-century Western observers as little more than “a horde” of warmongers, and later suppressed by Ethiopian monarchs who sought to create a centralized modern state, their contribution has been neglected. 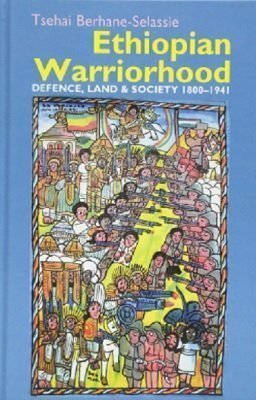 Drawing on oral and written sources, as well as the zeraf poetry through which they expressed themselves, this book explores for the first time in depth the history, practices and principles of warriorhood of the chewa, and their wider influence on society and state. Often self-trained individuals who began by defending their communities, by the end of the 19th century there were chewawarrior groups from almost all linguistic groups who fought together to resist foreign invaders. Some chewa enrolled in the service of the Ethiopian “kings of kings”, who organized them as named corps that supplemented the formal defence of the state. Today, chewa political identity, which transcended social, familial, political and other groupings, remains deeply rooted in Ethiopian society. Tsehai Berhane-Selassie taught Social Anthropology, Gender and Development Studies in universities in Ethiopia, the UK, the USA and Ireland. She is a former member of The Institute for Advanced Study, Princeton. Her publications include editing Gender Issues in Ethiopia. Here is Amazon’s link to order the book. It is also available as Kindle.